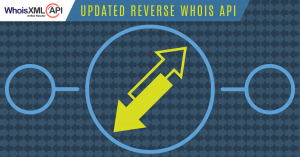 Announcing the Updated Reverse Whois API! 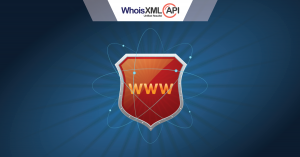 Our team at WhoisXmlApi is constantly working towards making the best domain data easily accessible to our users, so as to make their domain research as simple as possible. Many of our efforts are easily visible; like when we launch new kickass products and services, and many go unnoticed and unclaimed. It’s those ‘not-so-apparent’ efforts which usually happen behind the scenes, that are mostly technical in nature or are some sort of product enhancements but are very useful for our users, which we intend to keep you updated on going forward. 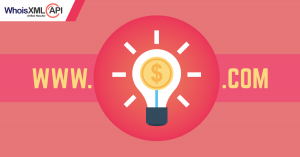 How to Make Your Domain Name Dominate Google Search Result! The main aim of Google is to provide the most relevant search results to its users. It’s constantly trying to deliver value and provide content that people want to engage with, without much fuss. Web pages and content on the web are ranked based on over 200 factors which Google considers most relevant. But with Google’s ever increasing popularity, individuals and businesses have realized the importance of ranking high organically and are trying to manipulate the system to project themselves in the top search results, sometimes even when they are irrelevant. Domain names represent the online identification of individuals, businesses, and organizations. Rising cyber security threats have time and again proven that individuals and organizations must protect their virtual assets against a range of threats or circumstances that may result in temporary or permanent loss of their domain name. 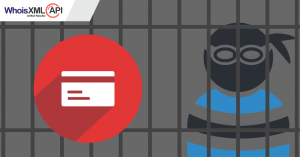 The threats a domain owner faces can be both external as well as internal. An external attack would be when a malicious entity tries to gain unauthorized access to a domain name registration account in order to control a domain name or to alter Domain Name System (DNS) information associated with that domain name. An internal threat can be in the form of a failure to renew a domain name, which can also result in the loss of your domain name. With the steady adoption of the Internet worldwide, majority of the businesses are shifting to the web. It has now become crucial for businesses to have an online presence. As of 2016, there are about 1.1 billion websites with about 4.5 billion total pages. But out of these websites about 60% are ‘inactive’. These websites are kept as ‘placeholders’ for sale or have only a page or so of stale content. New Year calls for new resolutions! With the advent of Twenty Seventeen, we at WhoisXmlApi are looking forward to further expanding our horizons in the domain industry. Last year we took some significant steps growing in the domain data space. Instead of just being a provider for various types of Whois Data, we ventured into providing solutions, so we can partner with our customers in simplifying their domain research. In 2016, our first leap away from only dealing with domain Whois data started with the introduction of Website Classification Database which essentially categorizes and provides a database of over 100 million websites. 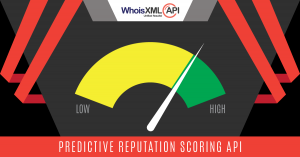 At WhoisXmlApi.com, we take great pride in developing products that can help our users in their various undertakings, from investigating Cyber Crime or brand fraud, to competitive research, domain management and acquisition. 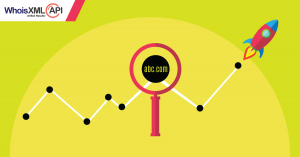 Data points that add insight to individual domains and connections between them are especially helpful, and we are constantly trying to provide data that can add value to our users’ research! 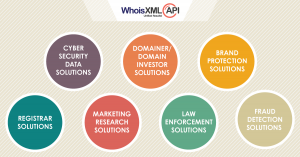 Our Whois products and services, provide intelligence about almost all the existing TLD’s . As useful as this information is, however, there is much more that can be learned about a domain by going beyond the data in the Whois record itself.